College of Marin slashes administrative costs while generating additional revenue. College of Marin needed a tool for all their facility usage - from managing their course schedule to administering external facility requests and approvals. The Facilitron platform delivered that and more allowing administrators to consolidate campus data into a single, centralized place – saving significant time and money. 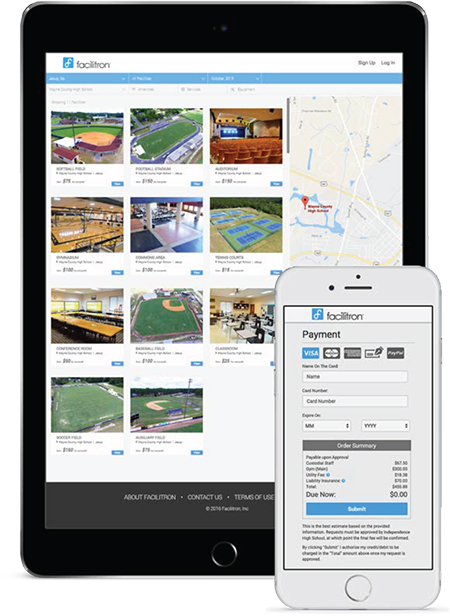 For facility rentals, Facilitron turned a cumbersome and time-consuming process into a simple one, not only for the major College of Marin stakeholders (admins, custodians, department heads, coaches, finance and accounting, etc) but also for community organizations. The result is a tool that saves time and money and helps to better monetize College of Marin’s facility usage.